But the truth is there are many fruits and vegetables that are filled with dangerous ingredients that can affect our body. Eating these common foods repeatedly can make you very sick. Let’s go find out about these foods. 1. Apple: There is a saying –“An apple a day will keep the doctor away” means if you eat an apple every day you wont have to go to a doctor. But ripple of apple contains toxin named Hydrogen Cyanide. We normally don’t eat ripple of apple and an apple don’t have that many ripples in it. But if you have too many of them, it will be dangerous for you. That’s why you have to be aware while making apple juice. Make sure you don’t grind apple ripples. 2. 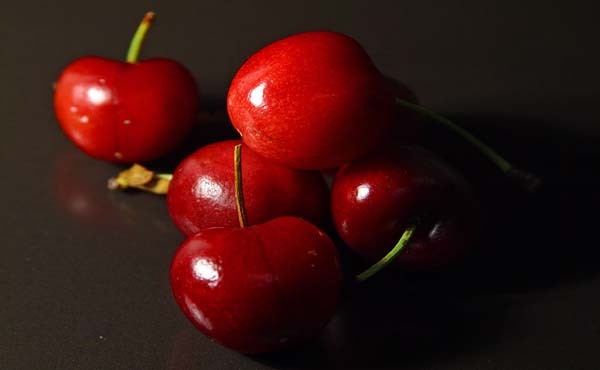 Cherry: Cherry is a famous fruit. It can be eaten raw and can be cooked also. It is also used for making alcohol. Cherry leaf and ripple contains toxic ingredients. When cherry ripple is crushed it produces prussic acid (Hydrogen Cyanide). So whenever you eat cherry, don’t eat the ripples. Same thing goes with Peach fruit. 3. Cashew Nuts: There are two kinds of cashew nuts. Sweet cashew nut and sour cashew nut. Comparatively, sour cashew nuts have large amount of Hydrogen Cyanide in it. Seven to Ten Cashew nuts can create problems for adults and can be deadly for little kids. Some countries declared it illegal to sell sour cashew nuts. 4. Nutmeg: Nutmeg has Myristicin in it. It helps to improve our brain. Normally the amount of nutmeg we use for cooking is not harmful. But if eating too much of it may result in vomiting, headache and hallucination. 5. Potato: Eating potato is normal. But potato leaves and shoot has Glycoalkaloid. If potato is stored for too long it grows shoot. When the Glyalkoloid of shoot comes in touch of sunlight, it multiplies. That’s why potato needs to be stored in cold and dark place. Eating a potato that has a shoot on it can cause Diarrhea headache and in some case a person a go to coma. 6. Raw Honey: Raw honey has Grayanotoxin on it. Eating a spoon of raw honey can cause Headache, too much sweat, and vomiting. 7. Tomato: Like potato, Tomato leaves have Glycoalkoloid in it. It causes digestion problems. Green tomato has the same ingredient. But eating a little bit of it will not cause any problem. 8. Beans: Beans need to be boiled for at least 10 minutes before eating. Otherwise it will make you very sick. It has a toxin in it that can even cause death. 9. Castor Oil: Castor oil is used for making various kinds of foods such as chocolates. There are people who eat Castor oil everyday. Most people make their children eat Castrol oil forcefully. Castor ripple contains a toxin named Ricin, which is extremely dangerous. People who collect Castor ripples face extreme side effects. One Castor Ripple is enough to kill a grown up man and for of it can kill a Horse. So these are the 9 kinds of food that that we should be careful about. Our slightest mistake while eating these foods can cause very big trouble. We should know what to eat and what not to eat. There are some foods we should totally avoid. Not everything we eat is healthy. Some of them are extremely dangerous. We should be careful about that.